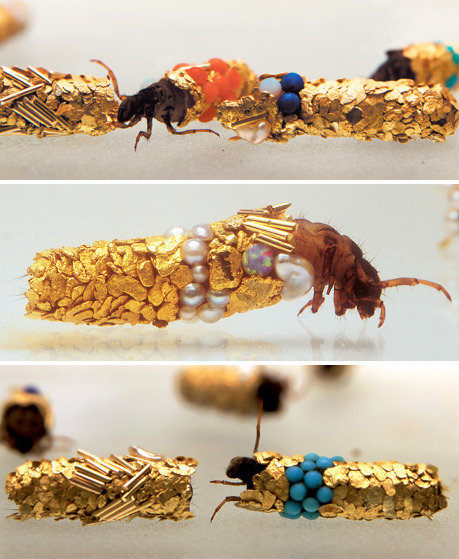 Caddis fly larvae are known to incorporate bits of whatever they can find into their cocoons, be it fish bone or bits of leaves. Hubert Duprat gave them gold, turquoise, gems and pearls. This is the most amazing and beautiful thing I’ve ever seen.